On Saturday 28th April the people of Tullamore will be out in force picking litter as part of the National Spring Clean campaign. Introduced a number of years ago by ‘Team Tullamore’ which comprises of the Tullamore Tidy Towns Association, Tullamore Municipal District of Offaly County Council and Tullamore & District Chamber of Commerce. The day will see members of these groups along with individuals, community groups and sporting organisations taking to the streets, approach roads and back alleys to pick and bag litter from litter black spots. As the clocks go forward and the evening are getting longer the Tullamore Tidy Towns initiative gathers momentum building towards competitive judging in June with ‘Team Tullamore’ working together to improve the appearance of the town with the ultimate goal of winning the National Tidy Towns competition in the foreseeable future. In past years the mammoth clean-up has seen Tullamore Canoe Club in canoes picking discarded litter from the banks of the canal and members of Shannonside Sub Aqua Club doing a cleanup along the Tullamore River. Residents’ Associations have organised the neighbourhood to get out and pick litter, clipping hedges, sweeping kerbs and general deep clean in preparation for planting for the summer ahead. 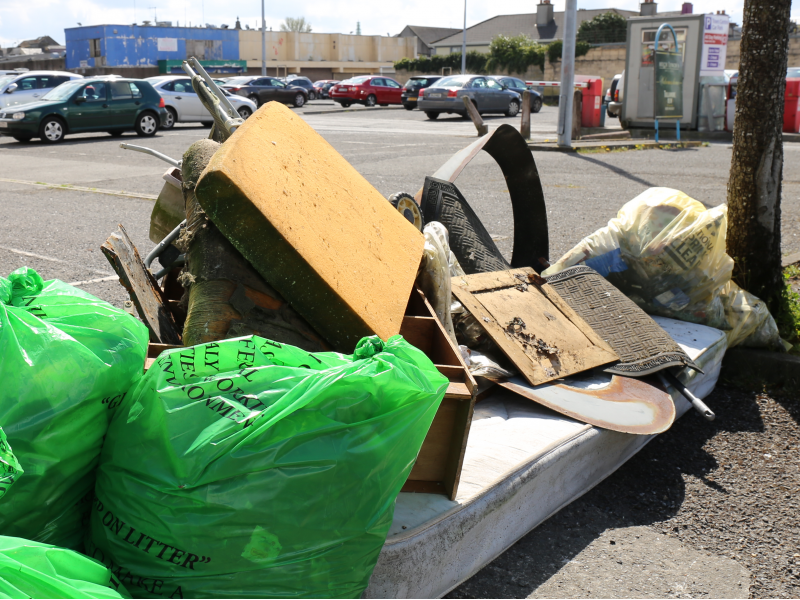 Businesses have been out collecting litter from back alleys, sweeping the front of their premises, parking lots and general tidy up around their immediate area. The event takes place on Saturday 28th April at 10.30am with representatives meeting in O’Connor Square to coordinate activities. Bags, gloves and litter pickers will be made available with light refreshments in Hugh Lynchs provided afterwards.